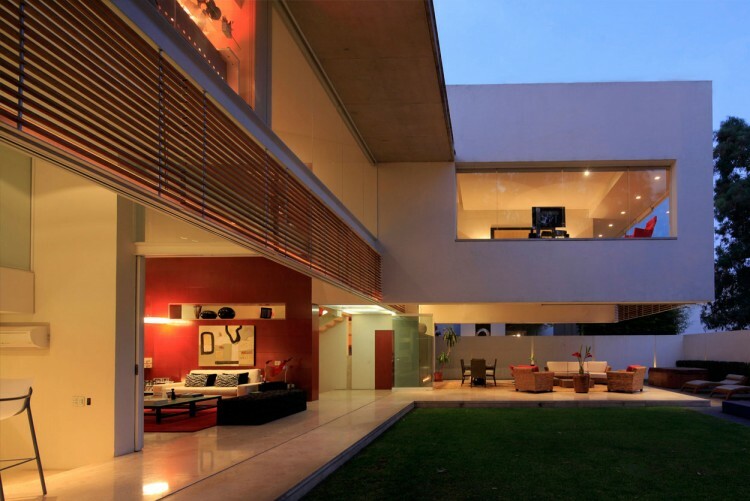 Guadalajara-based studio Hernandez Silva Arquitectos has completed the Godoy House project in 2007. 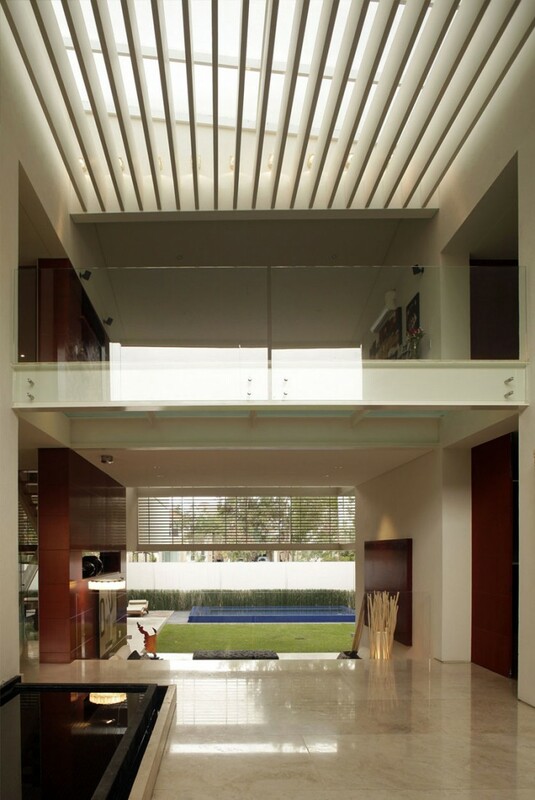 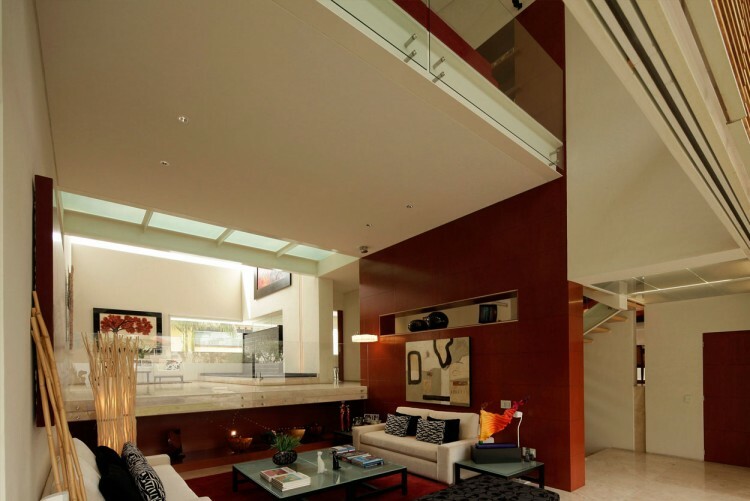 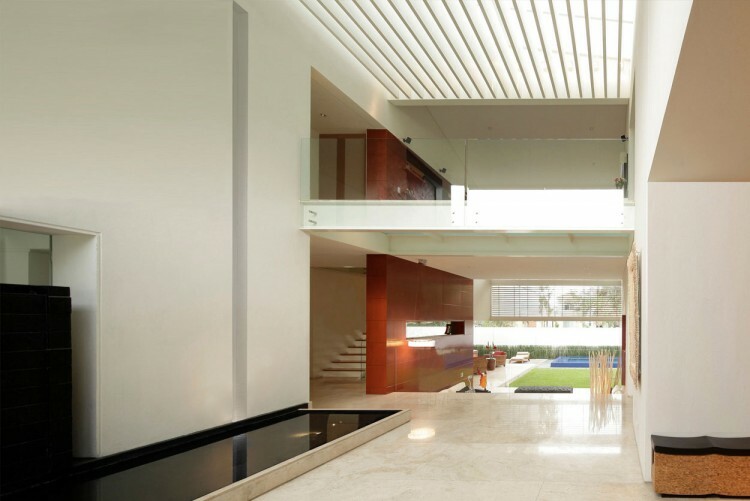 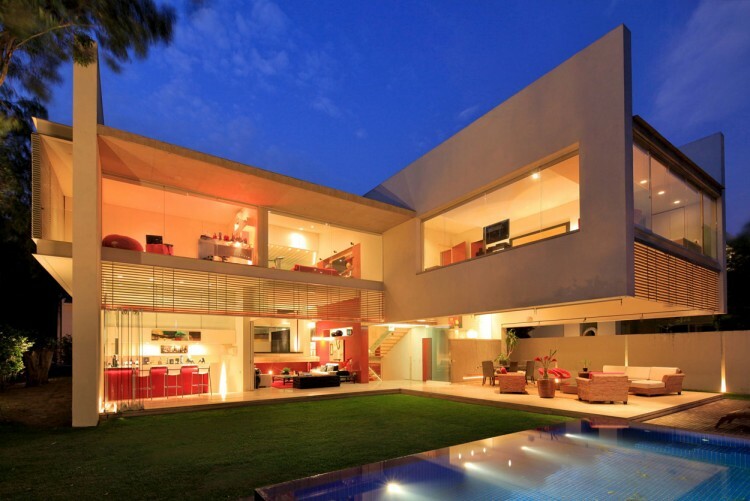 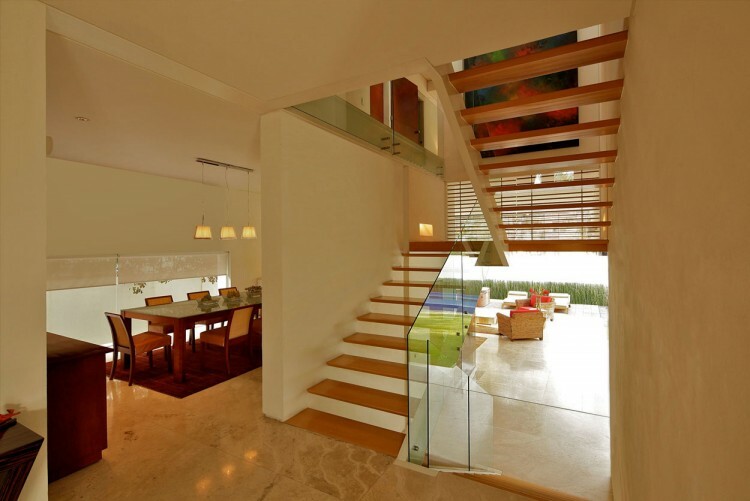 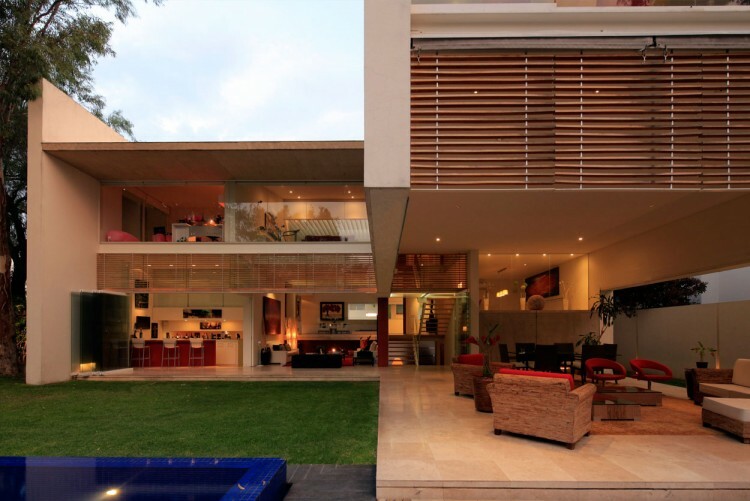 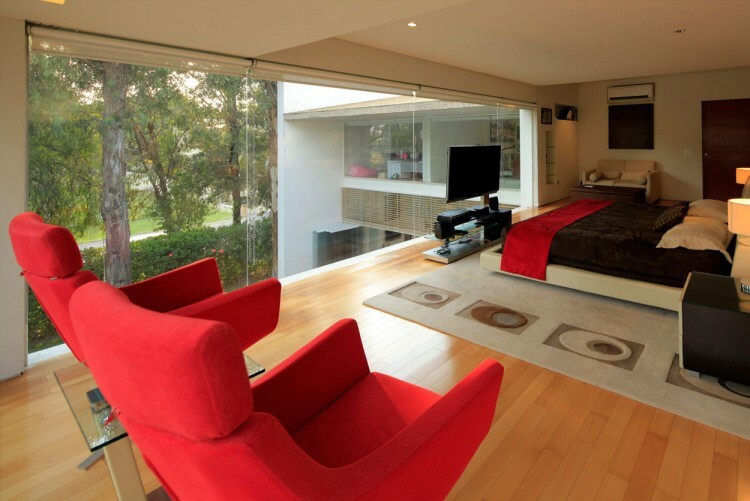 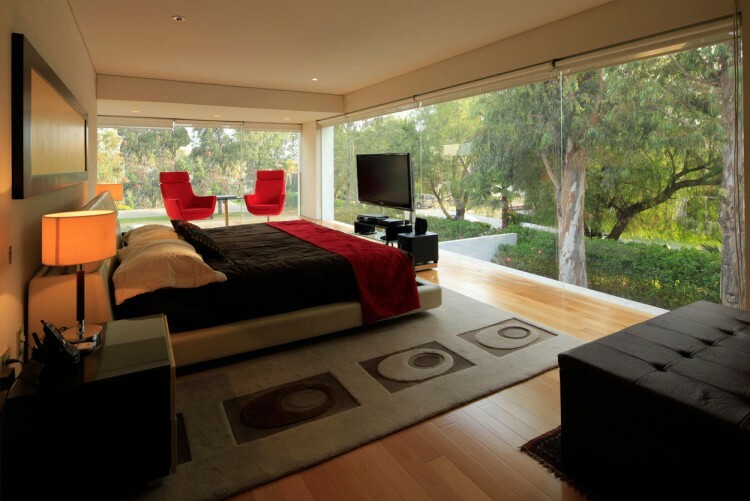 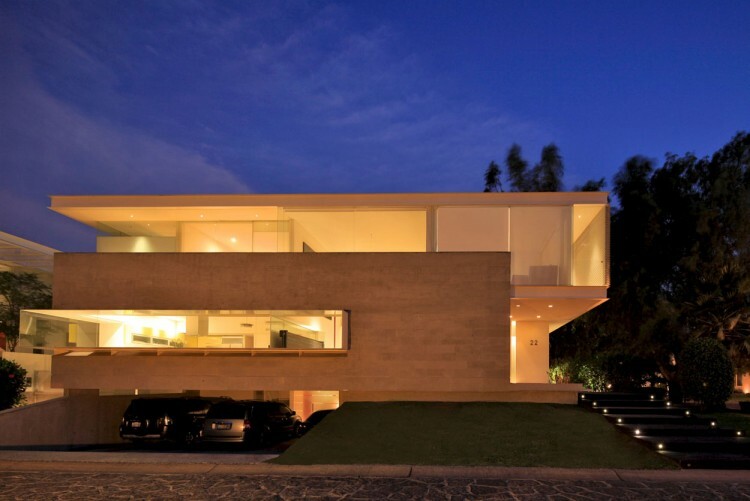 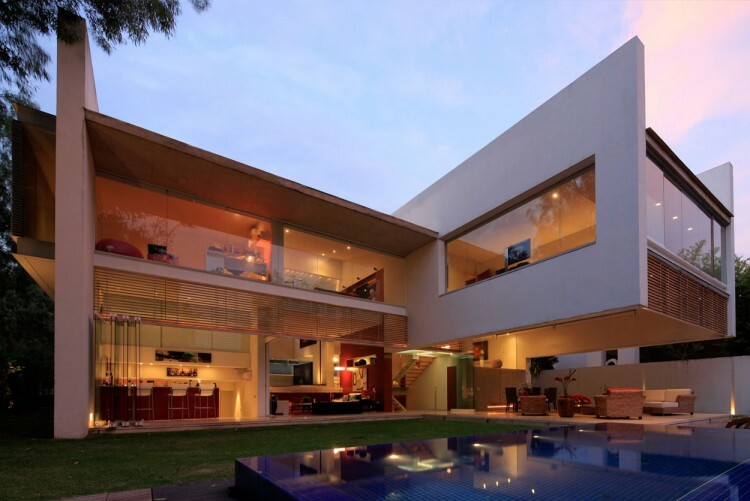 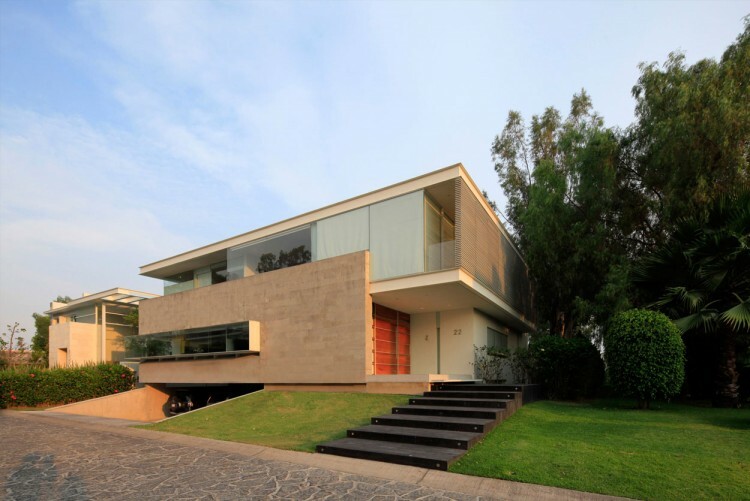 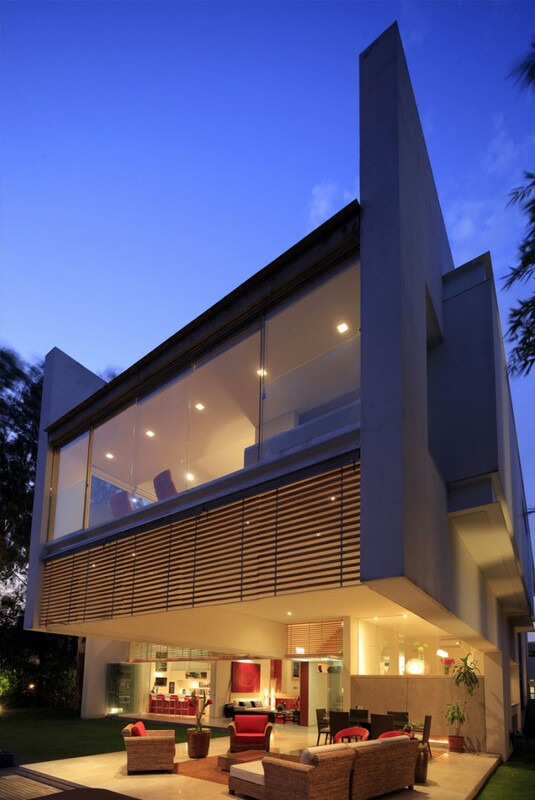 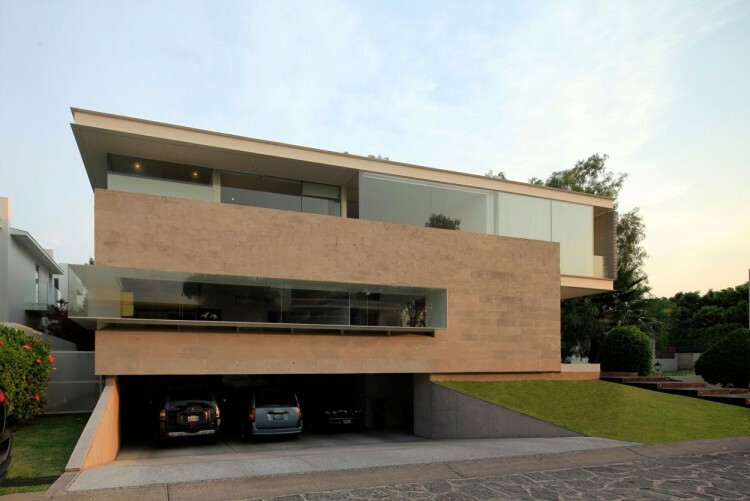 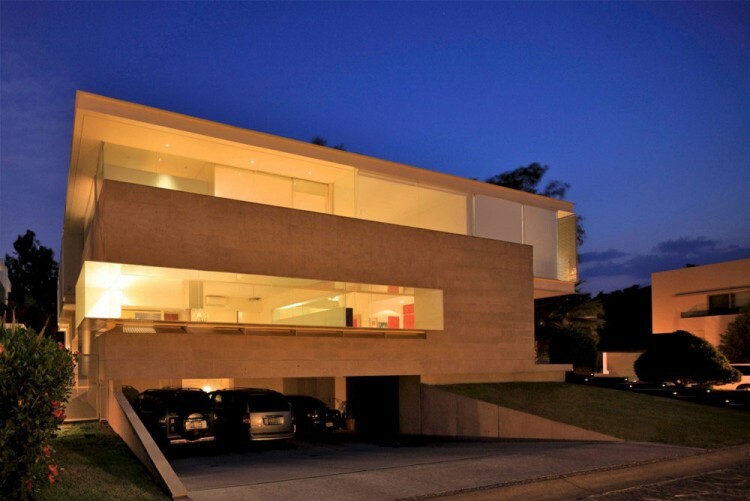 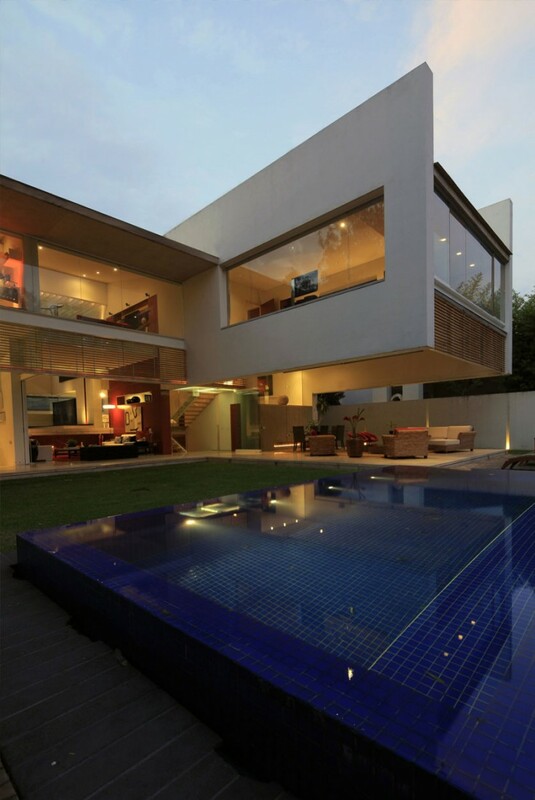 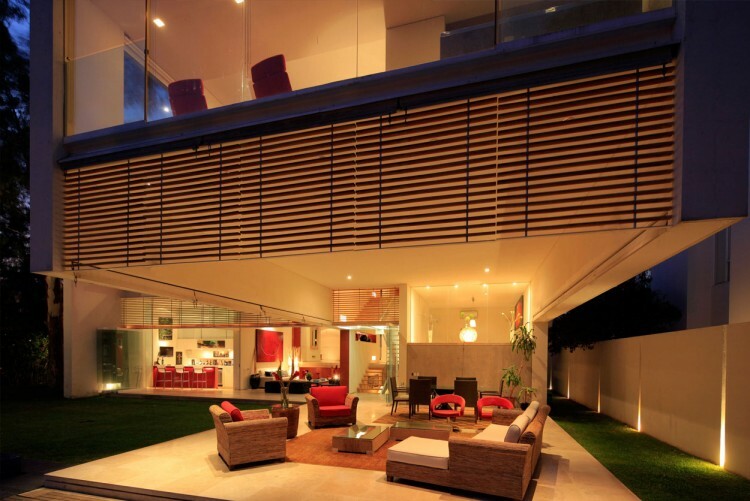 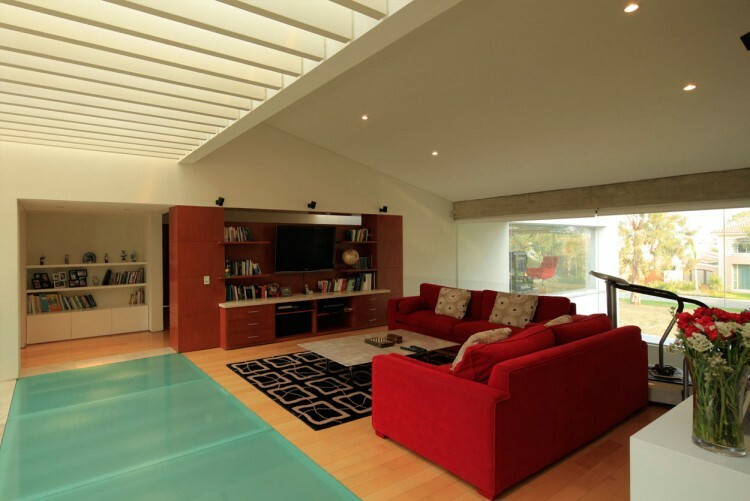 This contemporary two-story residence is located in Zapopan, a city in the Mexican state of Jalisco. 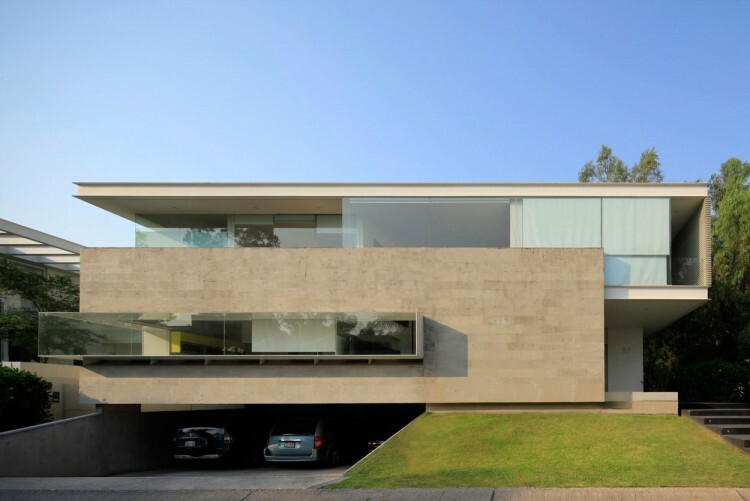 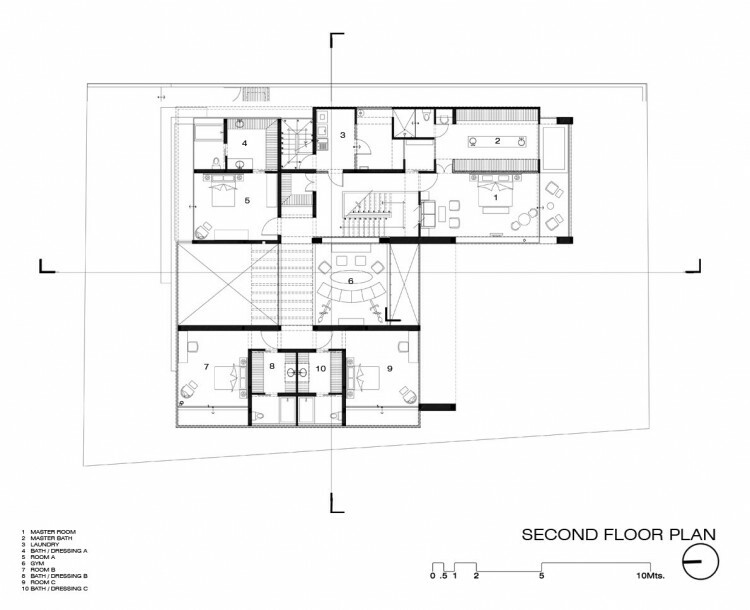 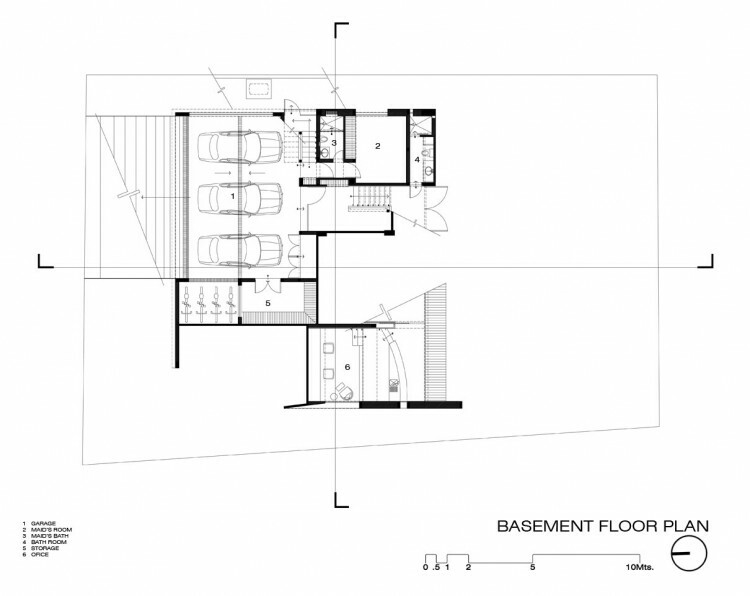 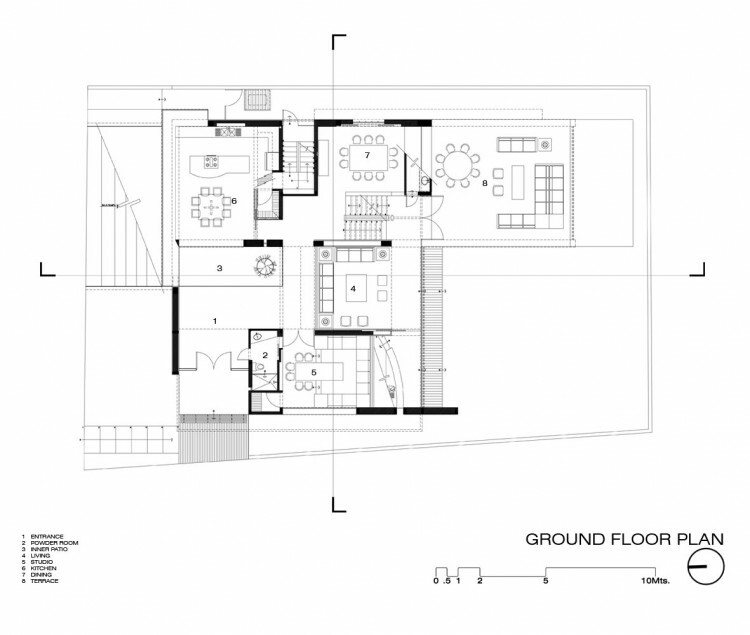 “The house is located in a private neighborhood outside the city, the land is flat and located in a corner, with neighbors to the south and east side, the west contains a large line of trees that separates the house from the street and takes a turn into the north where both entrances lie: one pedestrian and another one for cars, there are two bodies floating, the one on the left is a large box covered in gray stone that levitates over the street opening a gap where the cars are stored, the second body is transparent and light, larger and higher, which shows the pedestrian entrance, it is a volume of windows to the north and west sheltered by a white steel lattice, obeying the relationship with the sun, as this orientation is extremely hard in the city. 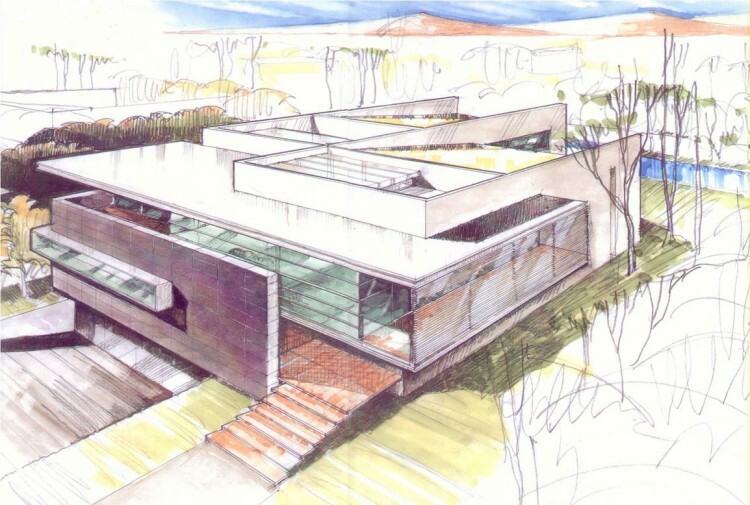 The house structure is steel, it was built during a situation where this material was at a low price, allowing to build an almost floating house. 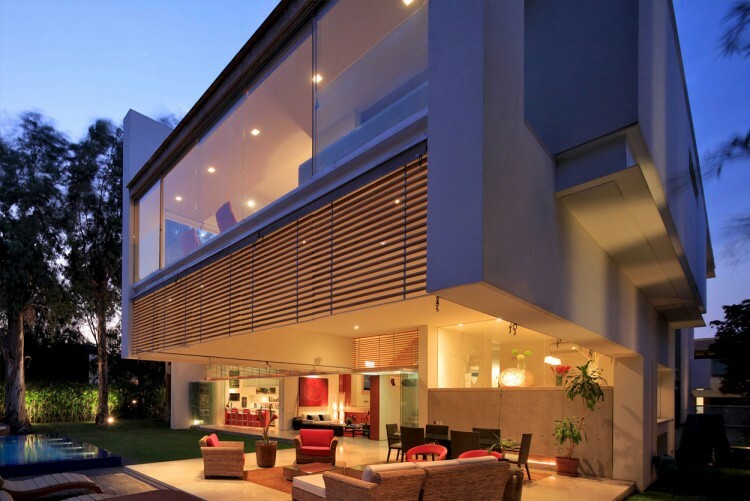 The house opens with a long and folding window system in the background, integrating the garden into the interior, making social spaces in a fully integrated large terrace with a garden and pool, this allows to live the cool and privileged Guadalajara’s weather, the dining room looks out above the terrace and communicates above the garden with the kitchen and studio, the two stairs set off from the basement to the second floor, one leads to the services and the other weaves the social and private spaces of the house.